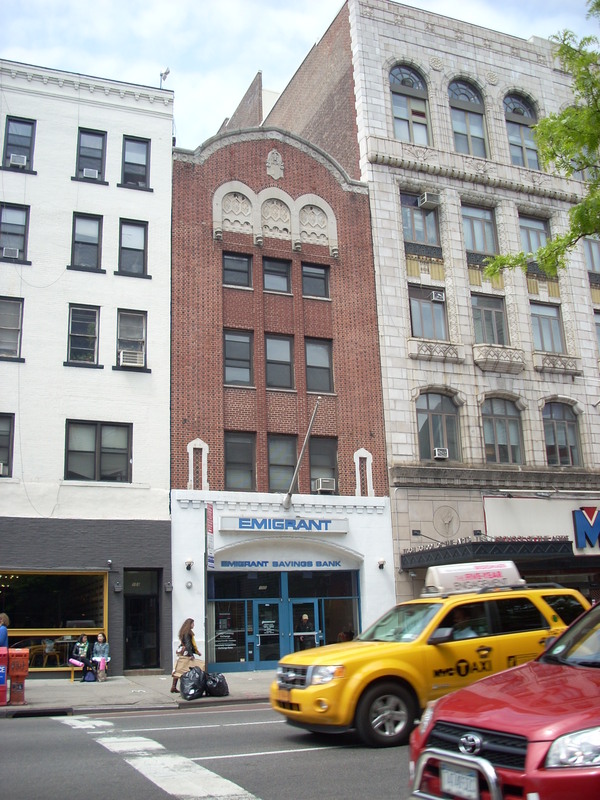 The Fillmore East was located on 2nd Ave near 6th Street in the East Village, New York City. In 1926, the venue began life as a Yiddish theater called the Commodore and later became a movie theater, the Loews Commodore. As with many old theaters in the 60s and 70s, it was converted into a performance space for rock bands in 1967 under the name Village Theatre. In 1968, promoter Bill Graham was looking for an East Coast venue to compliment his already famous Fillmore in San Francisco, he found it in the aging theater and renamed it Fillmore East. From March 8, 1968 to June 27, 1971, Bill packed the theater with an amazing light show (The Joshua Light Show for the bulk of these years) and mind-blowing triple-bills that included the best acts of the day: The Doors, Jimi Hendrix, Janis Joplin, the Allman Brothers, Miles Davis, and that band from San Francisco, the Grateful Dead. The Grateful Dead played the Fillmore East from 1968 to 1971 over 45 times, the most famous run occurring February 11, 13 and 14, 1970. After the venue closed, it was taken over by Barry Stuart and operated under the names “New Fillmore East (NFE)” and “Village East” until 1975. 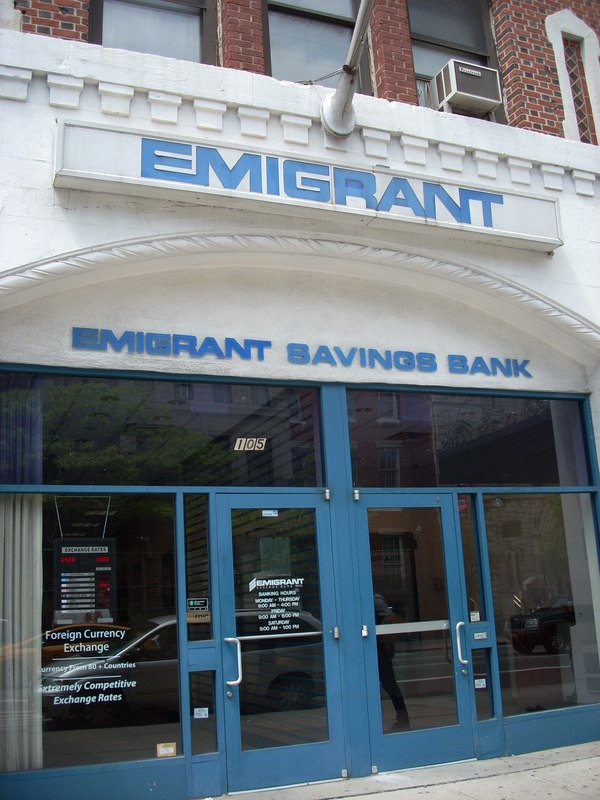 It then became a nightclub for a while in the ‘80s and is at present a branch of Emigrant Bank. The bank occupies only what once was the lobby, the remaining structure was torn down for an apartment building. You can enter the remaining building at the old lobby entrance, now the entrance to the bank. Unfortunately, there are no traces left of the lobby, only a few pictures hang on the wall from its time as the Village Theater and the Fillmore East. My visit was sad and thrilling at the same time as I realized I was standing in “The Church of Rock ‘n’ Roll” that was now a dull little bank, but at least a portion of it is still preserved. The first picture is of the front of the building as it looks today, still retaining much of the original façade, minus the famous marquee. The second picture is a close-up of the bank entrance, showing the modern additions inside and out, I was not allowed to take a picture inside the bank. Although the building has gone through many changes since the days of the Fillmore East, the old vibes are still present here in what was once the heart of the East Coast rock ‘n’ roll music scene and mecca for some of the Grateful Dead’s most legendary performances. 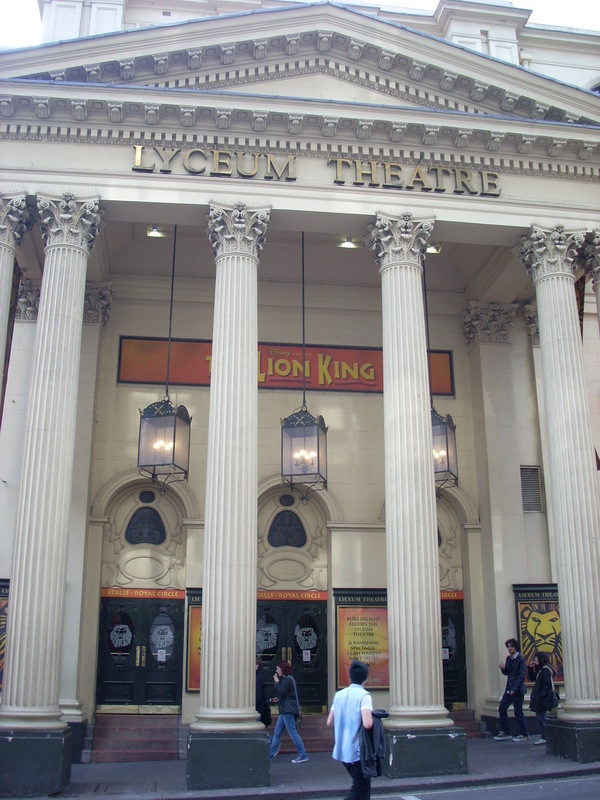 The Strand Lyceum is a theater off the Strand in the West End of London, England. The current theater was first opened on July 14, 1834, but there has been a theater of some form on the site since 1765. As with most places in London, this site has been witness to a long and varied history. Charles Dickens consulted on his plays here and Bram Stoker worked at the theater as a business manager in the late 19th century. It remained a theater until 1951, when it was converted into a ballroom. It was in this ballroom that top pop bands like Led Zeppelin and The Who performed in the ’60s and ’70s. The Grateful Dead ended their Europe ’72 tour here, playing a four night run, May 23-26. The performances are legendary and also significant in Grateful Dead history, as the May 26th concert would mark the last time that Pigpen, and the original Grateful Dead, would truly perform together. The venue was re-reincarnated as a large theater once again in 1996. The first photograph is the front of theater, showing its current incarnation as the home of the Lion King ad infinitum. The second picture shows the side of the theater, the old stage door open, awaiting the artists’ arrival. 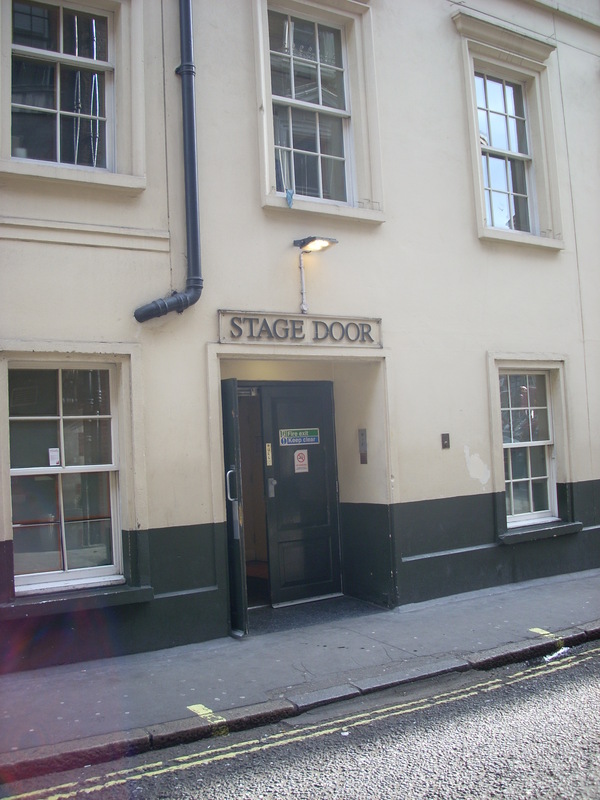 This was a most thrilling venue to discover, as I walked through the busy London streets to find it, you can feel the vibes as you approach the old stage door . Standing there, being over 3,000 miles from home, you also realize how far-reaching the presence of the Grateful Dead is in the world. So, if you find yourself in London wandering around the Strand, check out this great old theater (theatre) that has played such an important part in Grateful Dead history. 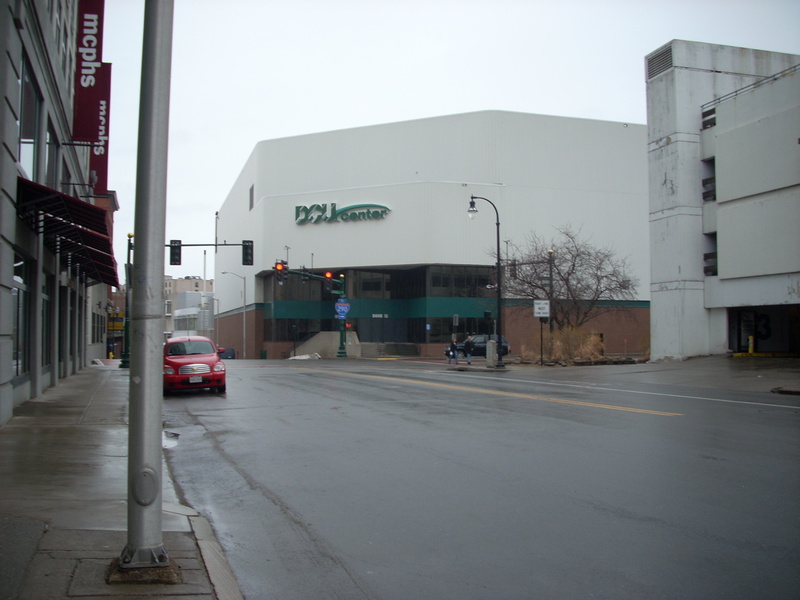 The DCU Center, previously known as the Centrum, is located in Worcester, MA. 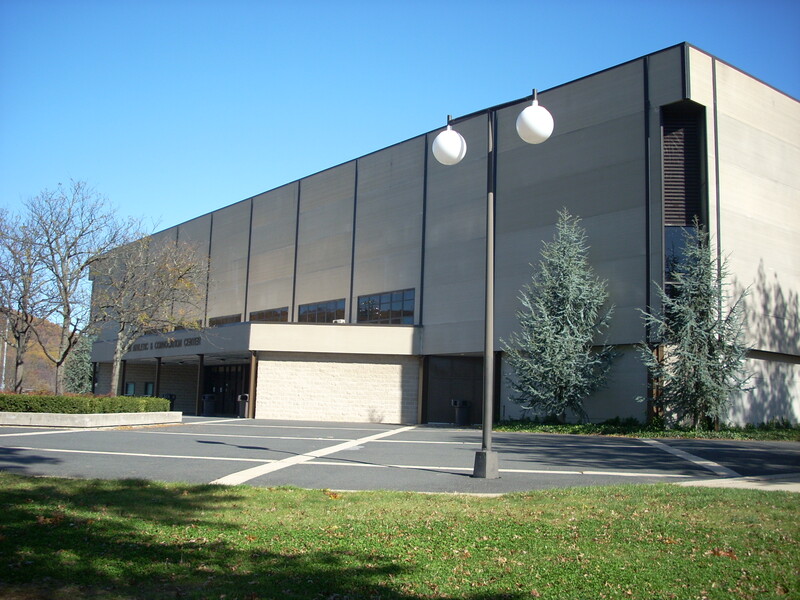 The venue opened on September 2, 1982 with a concert by Frank Sinatra and has continued to hold concerts and sports events since that time. 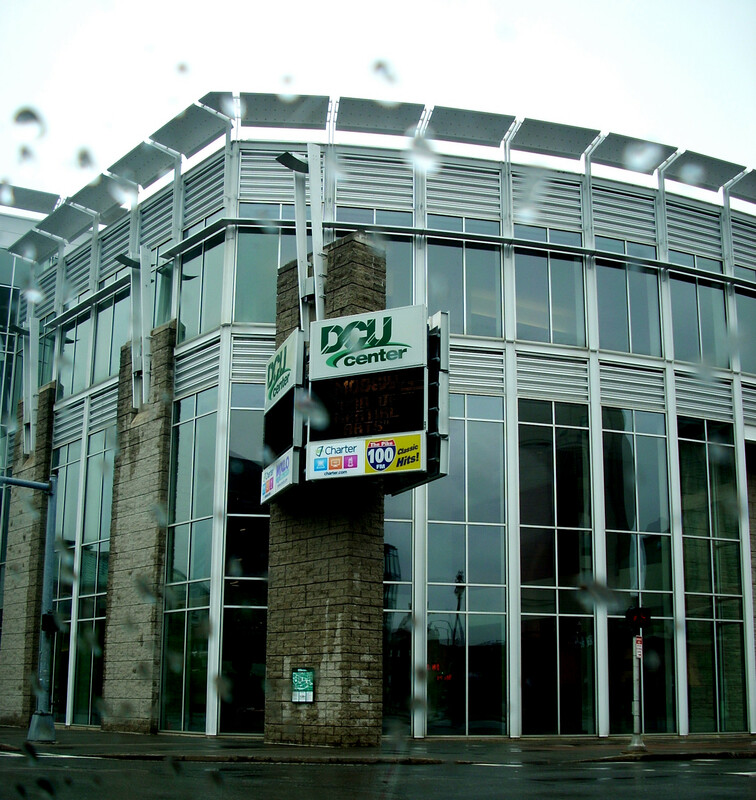 A convention center was added to the Centrum in 1997 and in 2004, was renamed the DCU (Digital Federal Credit Union) Center. The Dead had a notable performing history in Worcester, performing early on in their career in ’69 and ’70 at Clark University and Worcester Polytechnic Institute respectively and then at the Centrum ’83 through ’88, before settling into the Boston Garden in the ‘90s. The first picture is that of the front DCU (a rainy New England day that day!) and the second picture is that of the back of the building. I saw the remaining Dead here for a two night run in ’09 and found it to be a nice venue with a great vibe. Much of that vibe comes from Worcester itself, a city of incredible history, both Dead and otherwise. As you’re truckin’ down the Mass Pike to that next gig, take a worthy detour and visit this and other Grateful Dead Worcester landmarks! 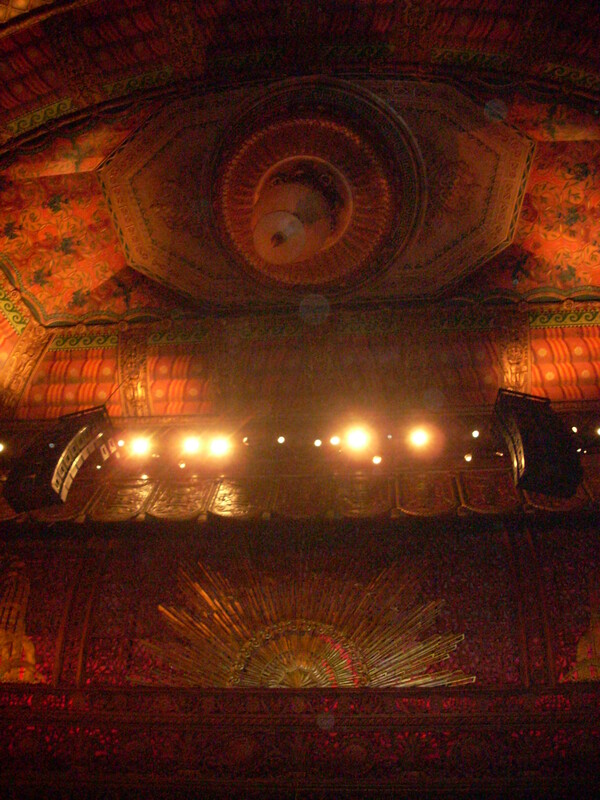 The Beacon Theatre is located on Broadway on the Upper West Side of Manhattan. It was designed by architect Walter Ahlschlager. Promoter Samuel “Roxy” Rothafel (of the famous Roxy Theatre) originally planned that the Beacon would become a music venue, but when the backing fell through, it ultimately began its life as a movie theater, opening on December 24, 1929. It continued to operate as a movie theater until 1974, when it began staging rock concerts. The Allman Brothers Band concerts are probably the best known performances held by a rock band at the theater. They have “held court” there with a run of shows every March since 1989, except 2010, when they were out-booked by Cirque de Soleil. The Grateful Dead played there only twice, a two night run on June 14 and 15, 1976. The theater itself is worth the price of admission. It is a “beacon” of restored beauty, from the ticket booth to the stage. Murals fill the rotunda lobby and the performance space, marble and brass line the staircases. One can see why it was added to the National Register of Historic Places in 1982. 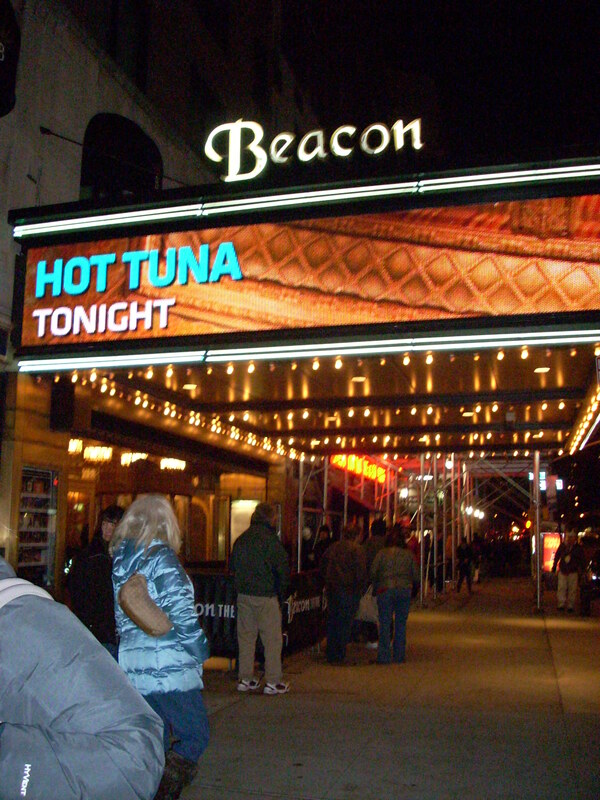 The marquee of the Beacon is depicted here in the first photo, I was on my way in to see Hot Tuna that night as you can see. This is the latest fancy incarnation of the marquee, it was your standard paste-up black letters on a white background when the Grateful Dead performed. The second photo shows the interior performance space. This ornamental work sits directly above the stage and extends to the ceiling. It appears that chandelier above is holding up a Middle Eastern inspired tent, complimenting the large almost floor-to-ceiling Egyptian murals flanking the stage. One feels that it was made to hear “Blues for Allah” in this space. The audience did hear a fitting “Samson and Delilah” each evening of the two night run in ’76 to no surprise, being that the Dead were on their ’76-’77 mostly second set “Samson and Delilah” kick. Check out this old theater at least once in your concert-going career, the beauty and superb acoustics make every show here memorable. Let’s go back to the other side of Pennsylvania for another trip to the great city of Pittsburgh. 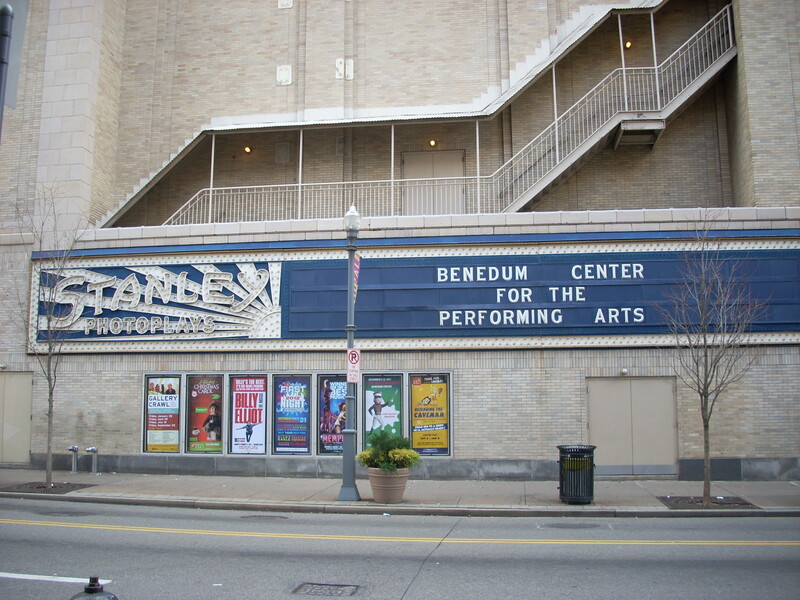 The Stanley Theatre, now known as the Benedum Center for the Performing Arts, is situated in downtown Pittsburgh. The Stanley opened to the public on February 27, 1928 as a Warner Brothers movie theater. The largest movie theater in Western Pennsylvania at the time, it was designed by the architectural firm of Hoffman and Henon, a firm that built movie theaters mostly in the Philadelphia area. In 1977, The Stanley went from movie palace to rock palace when it was bought by DiCesare-Engler Productions, the Bill Grahams of the Pennsylvania area. Numerous acts played there including Bruce Springsteen, Peter Gabriel, Frank Zappa, and Elvis Costello. Bob Marley would have his last live performance there in 1980. 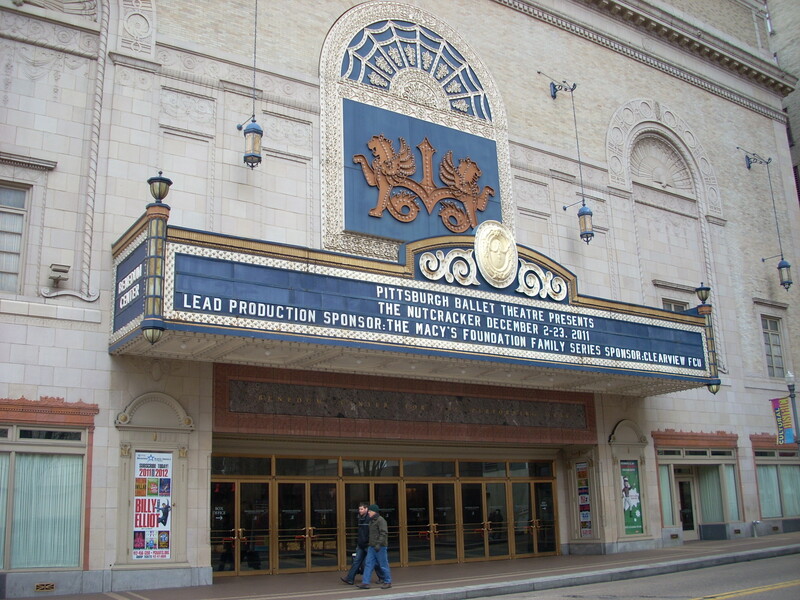 DiCesare-Engler sold the venue to the Pittsburgh Cultural Trust in 1983. After a full restoration that lasted until 1987, the Stanley was renamed the Benedum Center for the Performing Arts. The stage is now dedicated to the productions of Pittsburgh ballet and opera companies, plus traveling theater productions. The Grateful Dead played five shows there in ’69, ’79 and ‘81, later moving on to the Civic Area for the remaining part of the 80s. The first show that they played there on February 7, 1969 included the Velvet Underground and the Fuggs. The first picture shows the main entrance, the old marquee still in operation. The second photo shows the side of the building, the Stanley Photoplays sign still intact, a great reminder of its life as the Stanley and a grand old movie house of the 1920s. A wonderful example of careful restoration, the Stanley remains a jewel of downtown Pittsburgh architecture and Grateful Dead venues. 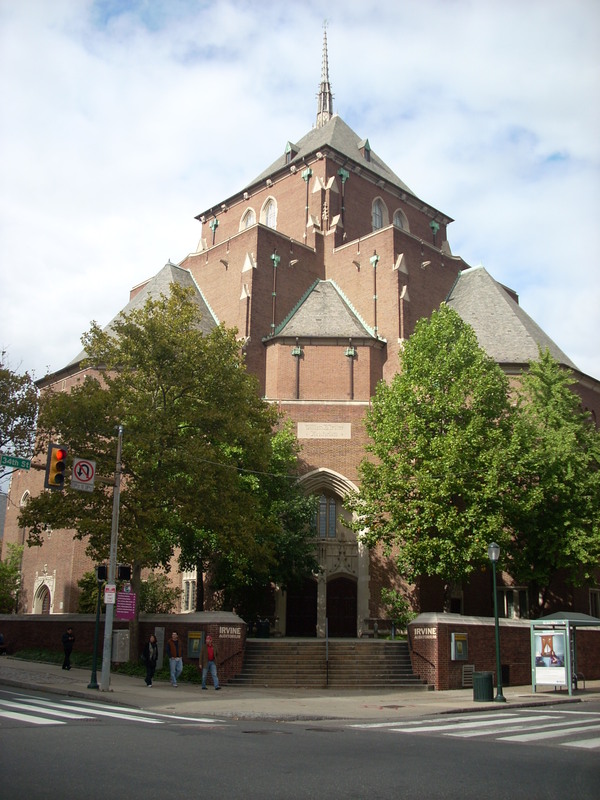 Irvine Auditorium is located on the campus of the University of Pennsylvania, Philadelphia, PA. The University was founded by Ben Franklin in 1740. The auditorium was designed by the architectural firm of Horace Trumbauer in 1929 and completed in 1932. The firm designed buildings for Duke and Harvard Universities, the Philadelphia Art Museum, and a number of mansions and residential buildings for the wealthy. It is used as a multi-purpose building for the University, with various performance and gathering spaces. The Main Hall seats 1,260 and houses one of the world’s largest pipe organs. 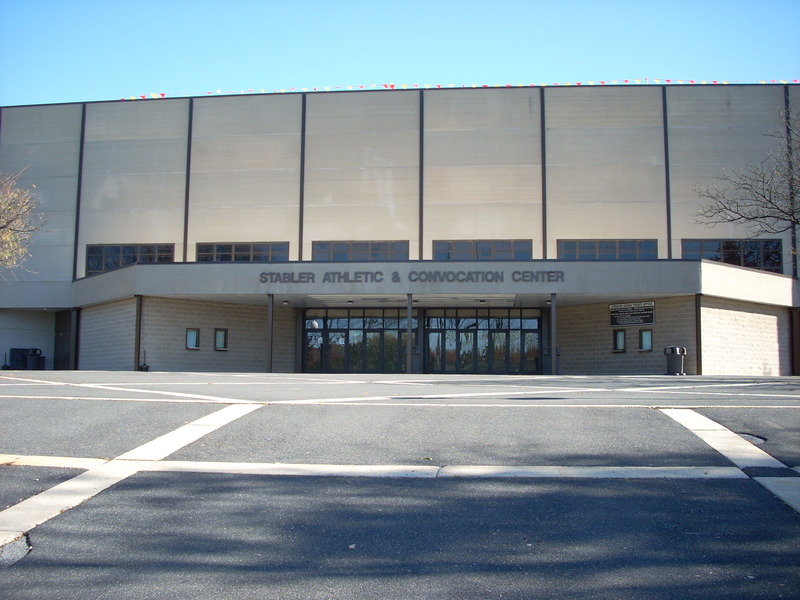 Unlike former neighbor Convention Hall (now demolished), the Grateful Dead played this venue only once on October 16, 1970. The New Riders of the Purple Sage is said to have been the opening act, but there is not a clear record on this, anyone know for sure? This show was a part of a short East Coast college tour that ran the length of October of 1970. It began with a show at Queen’s College in Queens, NY and ending with a four show, two night run at SUNY-Stony Brook in Upstate NY, October 30-31. Although this show was on the UPenn campus, it was actually held as part of nearby Drexel University’s homecoming events and was meant to be primarily for Drexel students. As always, the ever persistent Deadheads found their way in that night! 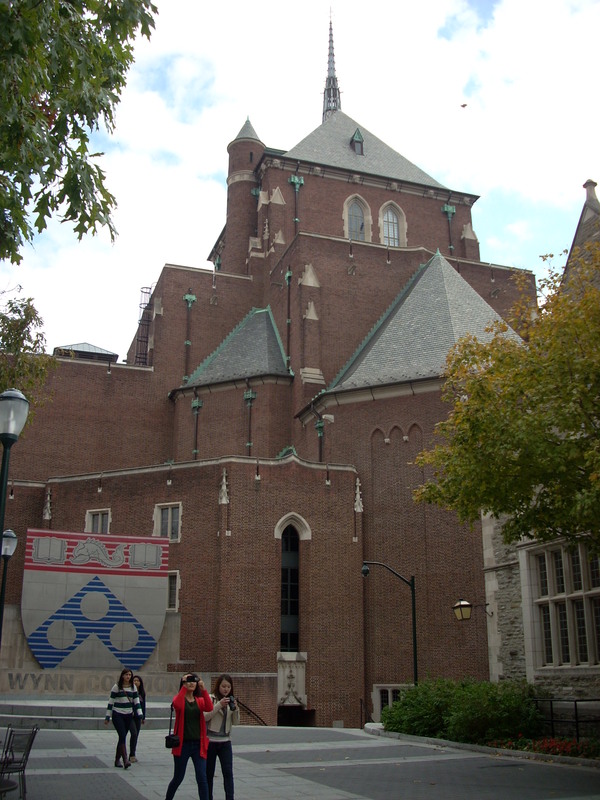 Irvine Auditorium is situated at the edge of the UPenn campus, the first picture showing the main entrance of the auditorium on 34th Street. The second picture shows the opposite side of the building facing the interior of the campus. It is rumored that the auditorium was the result of a failed student project that UPenn was forced to build, only because the student later required them to build it as part of a bequest to the University. The discombobulated design does look like the architect paid a visit to Owsley one too many times, but I find that the odd design makes it a charming structure, a building much suited to host a Grateful Dead concert!